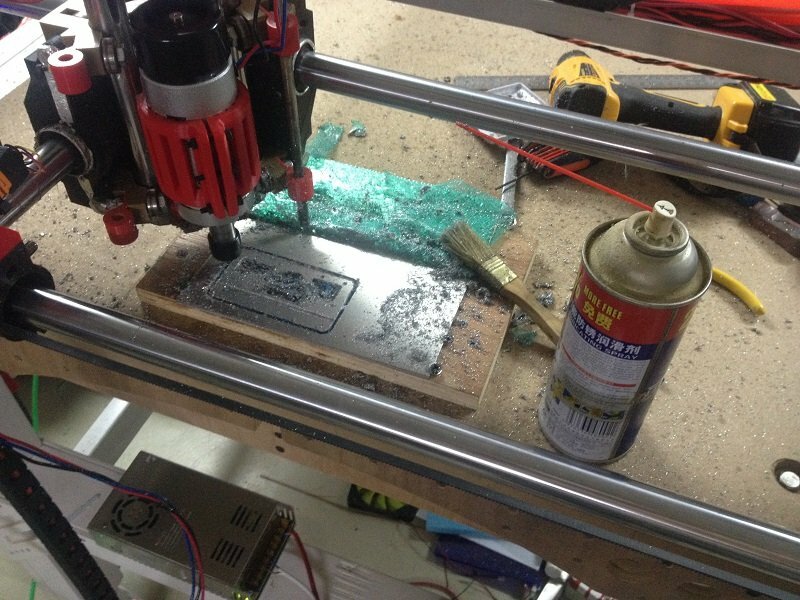 Ok, well, I finally received my new 500W brushless DC motor and installed it on my MPCNC. 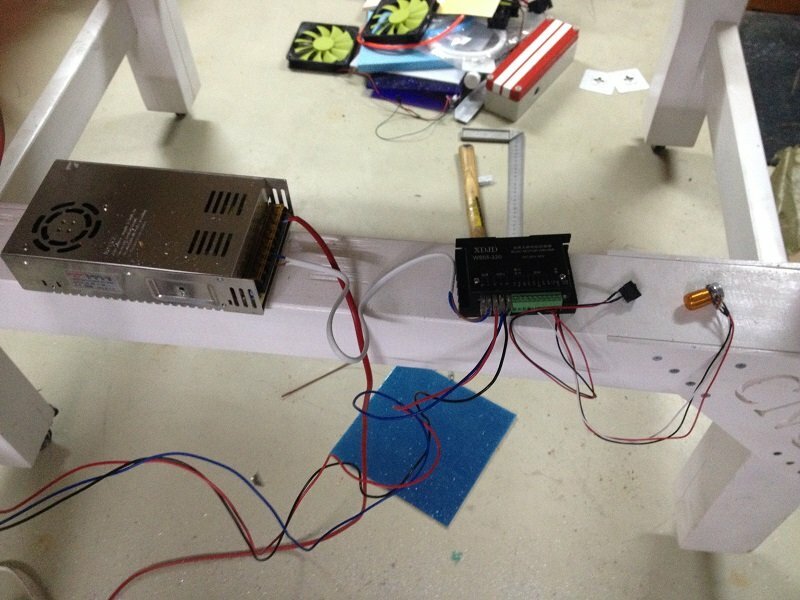 The motor seems pretty nice, it is very quiet compared to my old brushed router, the difference is quite huge. 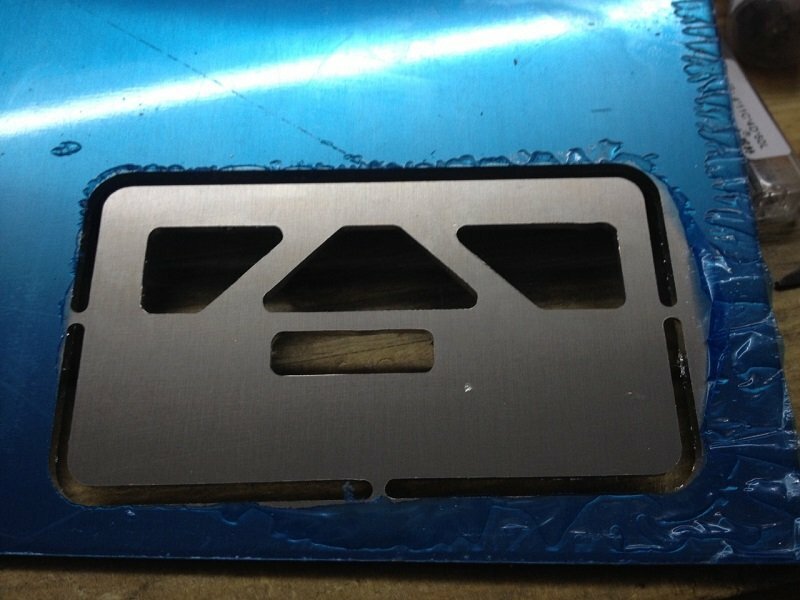 I made a few attemps at milling 3mm thick aluminum plate. 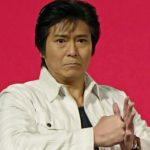 I’ve got somewhat successful results, but the quality is not great. -3mm 2 flutes bit, 0.2 per pass @10mm/sec, 1.3mm/sec plunge with lubrication. For all these tests, I’ve used the CNC control knobs to try different feed speeds and different router speeds, but what worked “best” was full speed for the router and about 10mm/sec for the feed. It seems like the biggest problem I have is the accuracy of the first path. For some reasons, the CNC doesn’t bite properly into the matterials and chatters quite a lot. Is usually goes fine during the second pass. 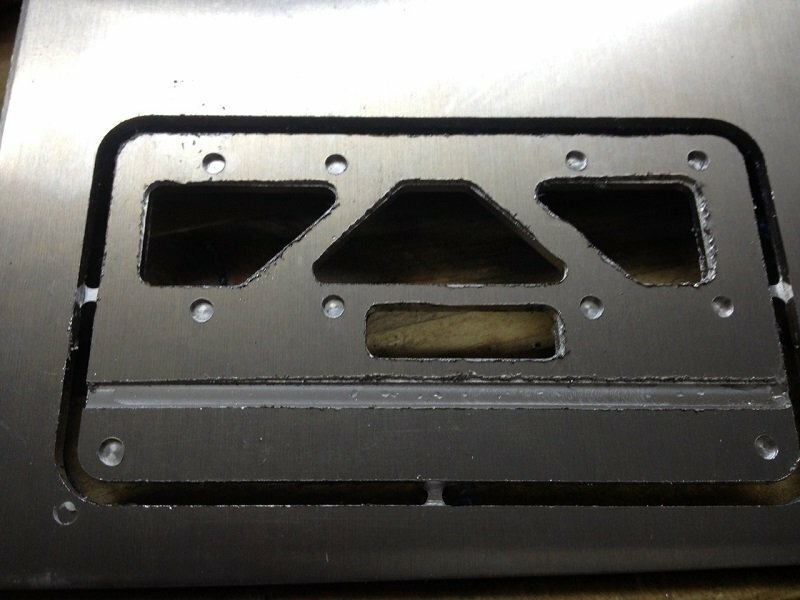 I believe this may be due to the structure of the CNC not being rigid enough, could be the belts or the gantry. For the belts, I plan to completely remove the zip ties and attach the belts directly to each corner, since I noticed that the zip ties stretch a tiny bit, no matter how short they are. But my zip ties are already as short as they could be so I guess that it won’t make a huge difference. Not really sure why this is happening. 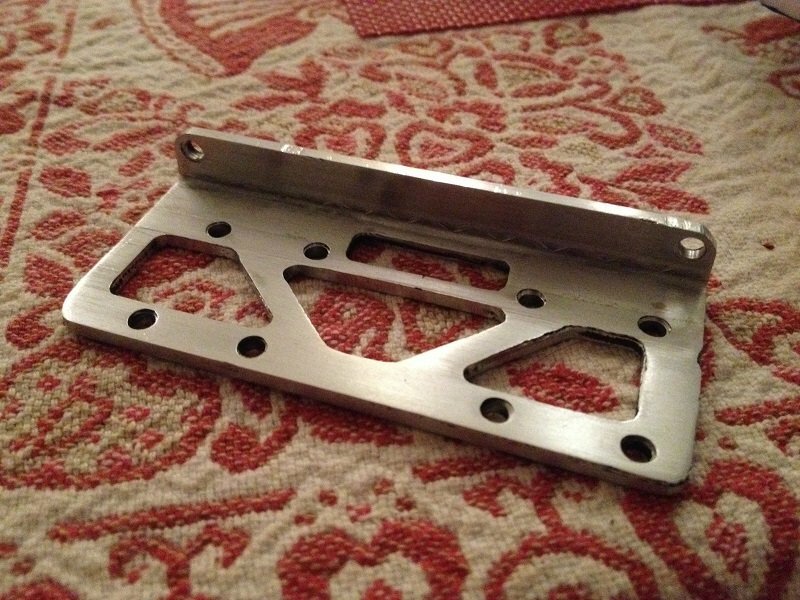 I’m not convinced that the MPCNC is very adapted to do aluminum milling. I know it can work, but it may take a lot of fine tuning and be unreliable. I just see too many things that can go wrong and at some point it will be expensive to ruin too many aluminum stock. so I’m considering purchasing a 3040 CNC metal frame, they are quite cheap, plus I have most of the electronics and motors to run it. 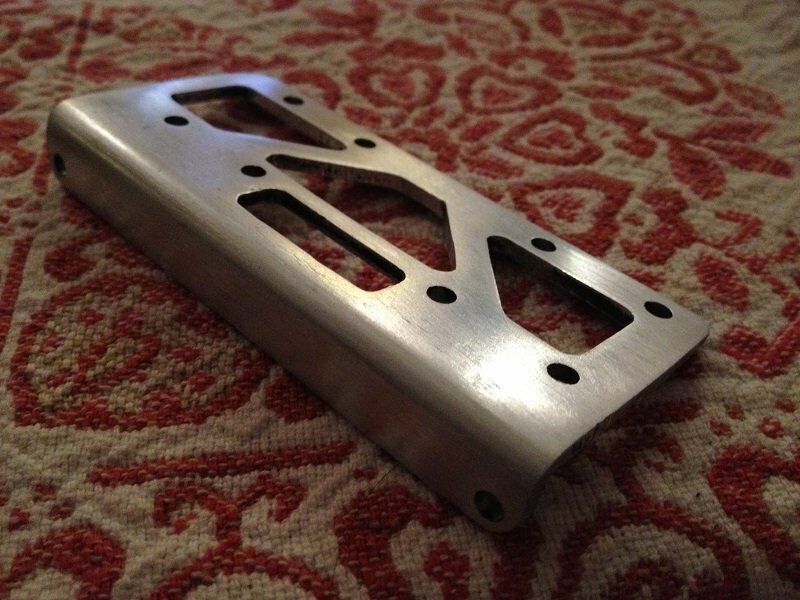 I would use the MPCNC for giant 3D printing, big wood projects milling and plasma cutting (if I manage to make this work) and leave the aluminum job to the 3040. Apparently a 3040 frame with ball screws costs around 2600 RMB (350 USD), which is an acceptable cost for me. The back side is almost perfect. It the top side looked like this it would be awesome. This was my first attempt with the 4mm bit, after a bit of sanding and bending. The finished parts. 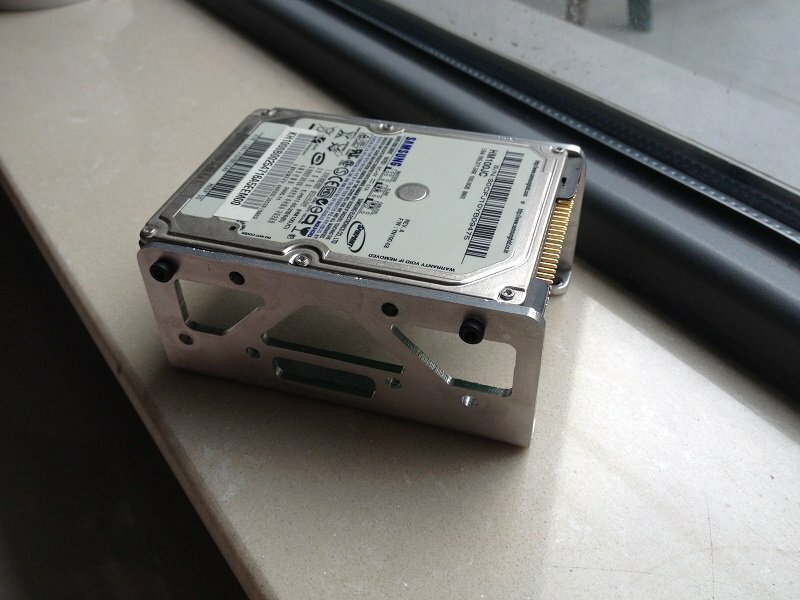 This is a little support for two 2.5′ Hard disk drives. Dimensions were accurate enough, the holes locations are good. In the end it worked ok, but the milling quality was quite poor. I used some brand new drill bits of pretty nice quality, so I’m pretty sure that the bits were not the cause of my troubles. I need to do some more tests.